This topic contains 100 replies, has 25 voices, and was last updated by Rick in China 3 years ago. Note to self: Don’t read steak thread before lunchtime. This is about 4 lbs of steak. 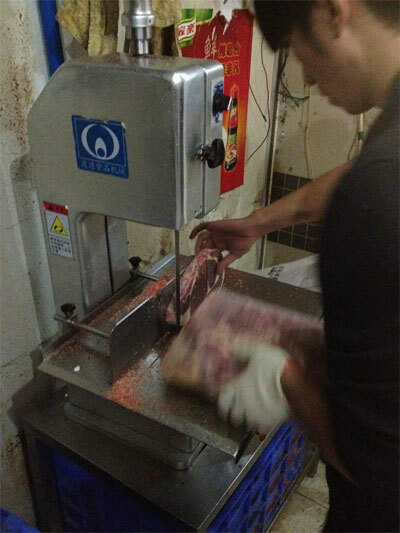 65 RMB per pound. 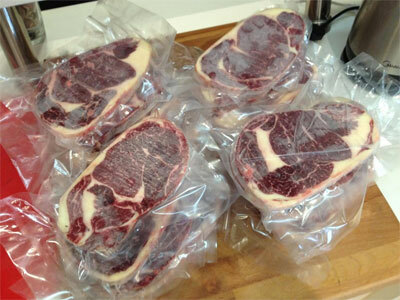 Any chance of a maplink to this market Eli, I think I know what I’m filling my freezer with this weekend! 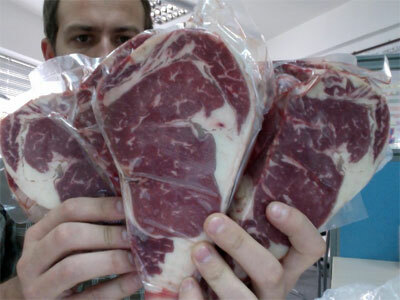 Next week is steak for breakfast, lunch, and dinner!! Basically, you want to enter the market from the little alley to the right, and you will find lots of shops in there selling similar stuff. 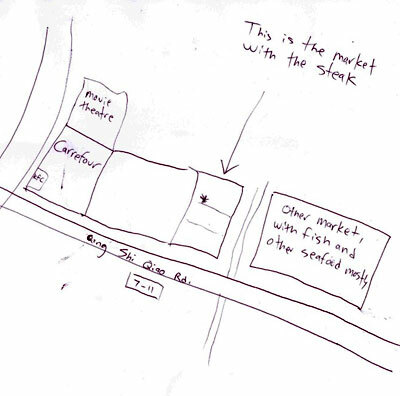 I have put an asterisk by the general location of the spot where I bought those steaks, but there are lots of shops in there, and their pricing and selection is pretty similar. Charlie – I didn’t mean to make that picture of the map so large! Can you help a brother out… thanks. So I think you mean here. Thanks for the map though. Awesome that you put pen to paper! Yeah, thats the right area. But the pin in that google map is actually on the part of my map marked ‘other market, with fish and other seafood mostly.’ So you are going to want to walk down towards the KFC about half a block and enter the market from the 向阳街 alley. 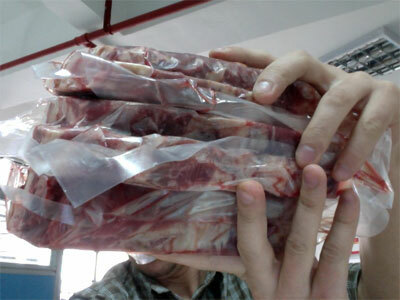 This is what 800 rmb of Ribeye looks like. I managed to swing 14.5lbs for that price, which came out to 16 thick cut hunks of protein. My amino acid pool is in for a bump!! how long will that last you? 800 rmb good price for 14 pounds?